But just before we get to our comprehensive list of the best Chromebooks to buy this year, you’ll find a handy buying guide, helping you to make the right decision when picking up the perfect Chromebook for you. Let’s begin. Computing has moved ever further into the cloud, with many people’s everyday tasks now taking place entirely inside a web browser. Why pay for a full desktop operating system such as Windows when you’re only going to be using a browser? That’s where Chromebooks enter the fray. It can be a bit difficult to wrap your head around the concept, so we’ve got a handy guide explaining how they work. What is a Chromebook and how does Chrome OS work? Chromebooks run Chrome OS, an operating system developed by Google. If you’ve used Google Chrome, you’ll be mostly familiar with how Chrome OS works. It differs slightly in that it has a file browser, a desktop and an apps menu that also displays Google Now, but it’s all simple stuff. Instead of using conventional desktop applications, you’ll be using Google’s excellent web-based suite of apps that includes Docs for word processing, Sheets for spreadsheets and Slides for presentations. Everything is stored in the cloud, meaning every change you make is saved automatically. You will need a persistent internet connection for this to work, but if you’re going to be offline – such as when travelling – there is an official Chrome OS tool that lets you work on your documents while you’re offline. What else can I do with a Chromebook? In terms of more conventional desktop apps, many options and alternatives are available for Chrome OS from the Chrome Web Store. For image editing, Polarr or Pixlr Editor are both great choices. Chromebooks all have USB ports, too, so you can transfer your media and documents around just like on a standard laptop. The Google Play store is also on Chromebooks too. A raft of Android apps are on Chrome OS, from office productivity, to communication and even games, such as Hearthstone. If you’re feeling confident, you can easily install Linux on your Chromebook, meaning you can buy a super-cheap laptop and run Linux applications on it. What do I need to look for when buying a Chromebook? Ther are all sorts of things to consider when making your Chromebook purchase. For starters, it’s worth bearing in mind that Chrome OS is categorised as a low-powered operating system, in that it doesn’t require top-end specs to run. Because of this, you don’t need a beefed-up machine to run it and so you can save a lot of money. You ought to look out for size and weight; more often than not, a Chromebook serves as a secondary device that you’ll be using when darting in and out of the office. For the sake of your back, it’s best to get something light. On that note, build quality is similarly important, and Chromebooks are getting further away from the tacky, plasticky devices of old. Second, a decent display is crucial. After all, you’ll be gawking at the screen the entire time you’re using it, and a Full HD display is a must for both the sake of your sanity and your eyes. This is it – this is the best Chromebook you can buy in 2018. 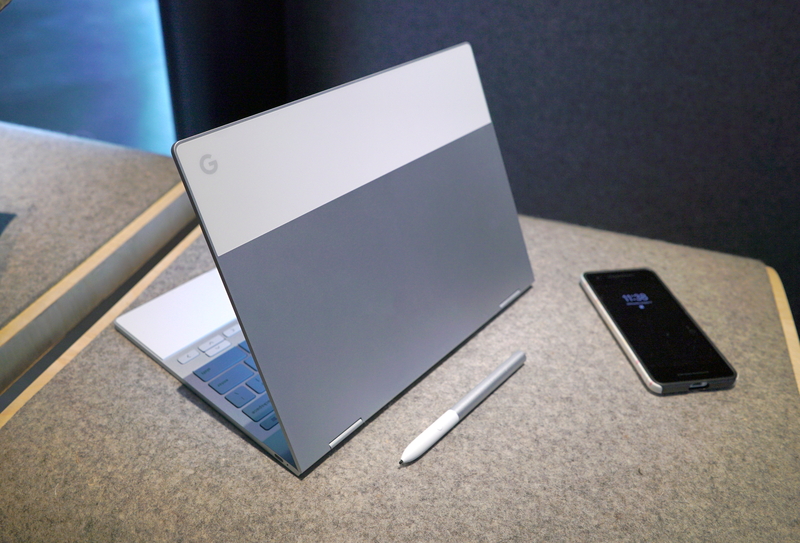 Of course, none other than Google could construct the best Chromebook ever released, given the firm owns the operating system, but that’s not to detract from the sheer wow factor of 2018’s Pixelbook. It’s not often I’d recommend a Chromebook this pricey – and it IS pricey, starting at just under £1,000 – but this is a phenomenal Windows-beater. It’s gorgeously thin, and seriously lightweight, with plenty of power packed into its slender chassis. Inside, you’ll find either a Kaby Lake Core i5 or i7 processor, with a choice of either 8GB or 16GB of RAM, and 128GB, 256GB and 512GB of SSD storage options. This is no unpowered machine by any stretch of the imagination. If you absolutely have your heart set on Google’s streamlined, online-only Chrome operating system, the Pixelbook is the best device that currently wields it. Google’s Pixelbook seriously raises the bar, and is the Chromebook to beat for future generations. Before the Pixelbook, this was the Chromebook to beat. 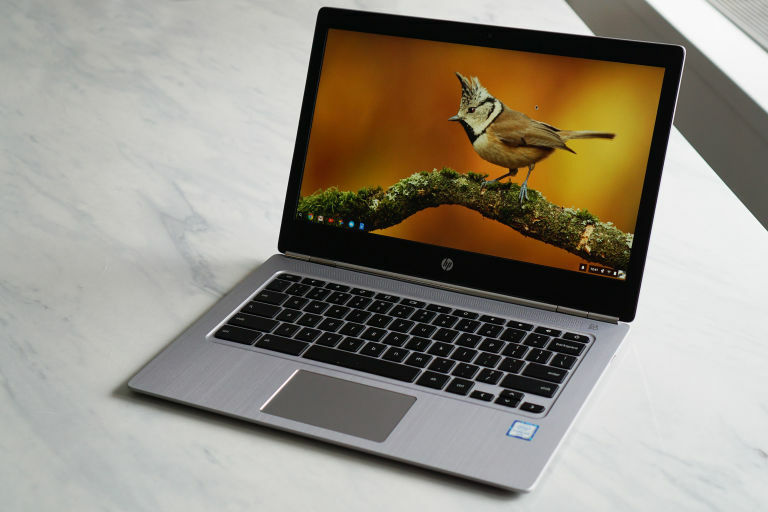 Building on HP’s excellent previous offering, 2018’s Chromebook 13 is crammed with the best performance on the market, all inside that wonderfully well-made all-metal chassis. It’s a sight to behold and is a far cry from those cheap, plastic-ridden Chromebooks of old. Although it’s pricier than many of the other Chromebooks on this list, but this is one of the best Chromebooks you can buy right now, rivalling many of its Windows-based alternatives – and it’s still a few hundred pounds cheaper than the new Pixelbook. The Quad HD screen is a real highlight, while its performance blazes ahead of most of its peers. If you’ve got a little extra cash, but your wallet is shivering at the price of the Pixelbook, HP’s Chromebook 13 is the one to get. I couldn’t recommend it more. Acer’s newest Chromebook 14 is a standout Chrome OS-powered laptop. Its build quality is far superior to most of its similarly priced brethren: the smooth aluminium chassis is gorgeous, making the whole thing feel much more premium than the relatively low price you paid for it. Sadly, it is marred by an underperforming display, but in terms of performance and build quality, it’s a strong candidate. Dell’s convertible Chromebook 11 is an interesting proposition. It’s dirt cheap, with prices starting from just £279, and it’s incredibly well-specced compared to others on this list. With a dual-core 1.6GHz Intel Celeron N3060 paired with 4GB of RAM, performance is top-notch and is fantastic bang for your buck. It’s a little chunky – designed to withstand the wear and tear of student’s hands – but Dell’s Chromebook 11 2-in-1 has one hell of a party trick. It’s the only Chromebook on this list that doubles as a 2-in-1, meaning you can use it as a laptop or tablet. It’s a touchscreen display, obviously, helping you out with your demanding workload, and it’s a decent-looking display to gawk at, too. Get Dell’s Chromebook 11 2-in-1 if money is a bit tight, you want a bit more versatility or you want something that’s child-proof. The second HP Chromebook 14 we’ve reviewed builds on plenty of things we liked about the first model. There’s excellent build quality considering the Chromebook 14’s reasonable price, but performance has also been improved across the board. 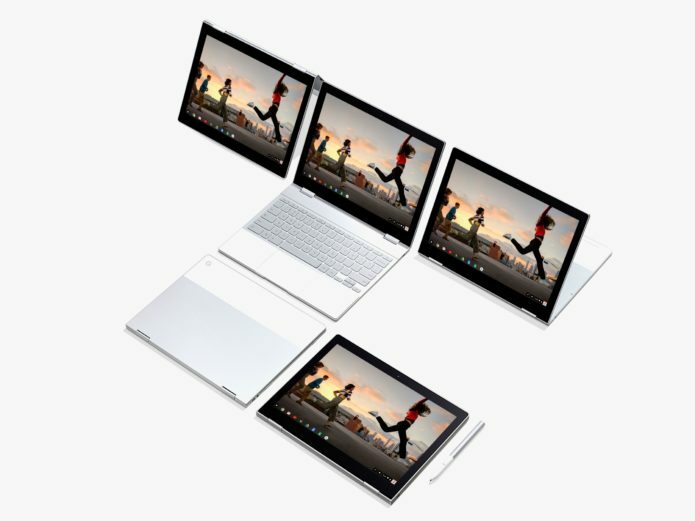 It’s reasonably shoulder-friendly for a 14in Chromebook, at 1.72kg; there’s plenty of USB ports to get your teeth stuck into, and you’ll be able to take it away from the mains thanks to the impressive battery life. Acer’s 360-degree hinge Chromebook R11 is a brilliantly versatile little device. Considering the sub-£250 price, it has the build quality of a far more expensive laptop, not to mention its ubiquitous, flexible hinge and excellent touchscreen. Performance is average, but for the money you can’t ask for much more. And with more than eight hours of battery life, it should get you through an entire workday. Boy, there are a lot of 11’s thrown around in Chromebook nomenclature these days, aren’t there? Well, this is Acer’s Chromebook 11, a dirt-cheap Chromebook with its sights set at the classroom and the office. Build quality is top notch – in fact, like with Dell’s Chromebook, it’s nigh-on indestructible – and it performs exactly as you’d expect from a £230 Chromebook. It certainly isn’t the fastest, but battery life is excellent and the keyboard is great to type on. Searching for a cheap and cheerful device for the kids, or something extra for the office? Look no further. One of our favourites, the Toshiba Chromebook 2 is arguably the best budget Chromebook you can buy. Its pièce de résistance is the Full HD screen, where you can place two windows comfortably side by side without having to squash either of them. It’s also slightly larger than the cheapest Chromebooks, with its 13.3in chassis meaning everything is more comfortable and usable than on a more conventional 11in Chromebook. Sure, it’s not hugely powerful, but it’s all about that lovely screen.